T Add 1 to your mana pool. T Add R or G to your mana pool. 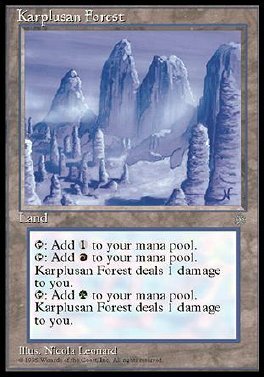 Karplusan Forest deals 1 damage to you.